It was a winter Monday with a bitter wind that made getting out of bed a chore in itself. Good news was it wasn’t a typical, run of the mill Monday: it was Monday, February 8. 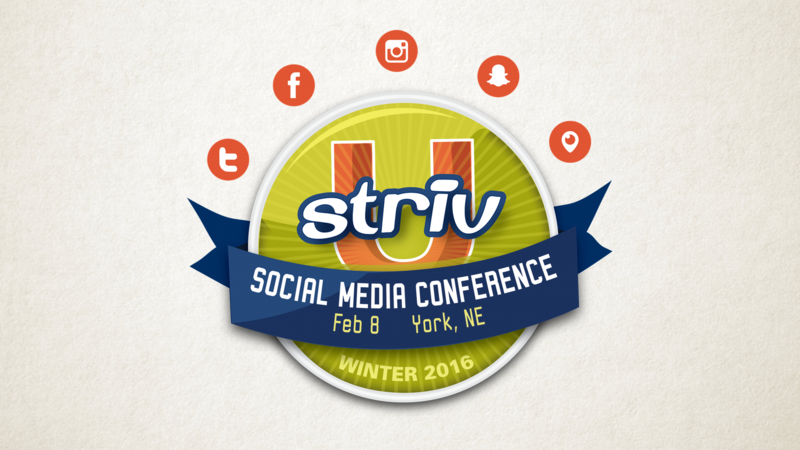 The day after Super Bowl 50 and for seven Striv schools, that meant hopping in the school van and driving to the Holthus Convention Center in York for the annual Striv Social Media Conference. 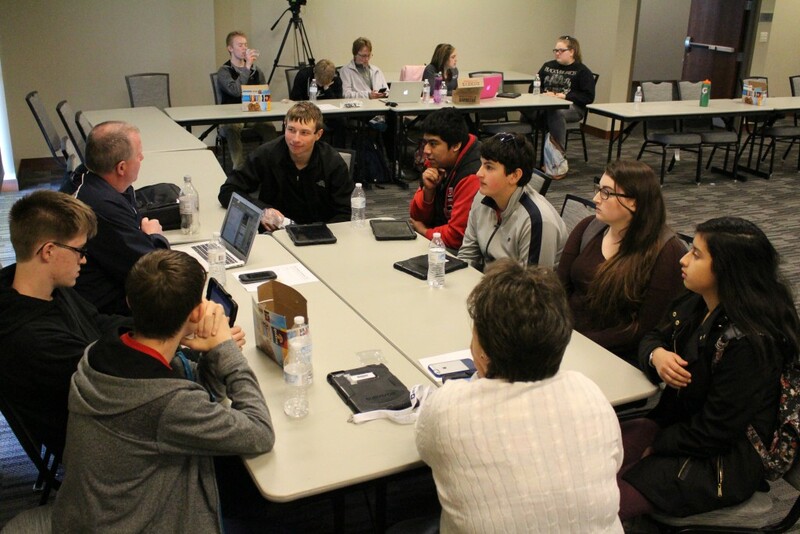 This conference was welcomed with open arms for these 45 students, teachers and administrators…especially on a Monday after a week of snow days and disarray. They came rolling in carrying their cell phones in one hand and a Starbucks coffee in the other (it was noted that the Grand Island Northwest teachers were carrying ‘venti’ size!). Every person sat around the huge ‘U’ shaped table set up and unpacked their laptops ready for an information overload. The conference was set up a little different than years passed. It was not as hands-on as previous years have been. Today was a line up of a few great speakers and a lot of great ideas to get a snowball of energy and roll it all back to the schools. The conference showed signs of a rough start as the venue was not ready to handle 80+ devices trying to log into the WiFi at the same time. However, an IT guy was brought in and the problem was more or less adverted and the show was back on the road. 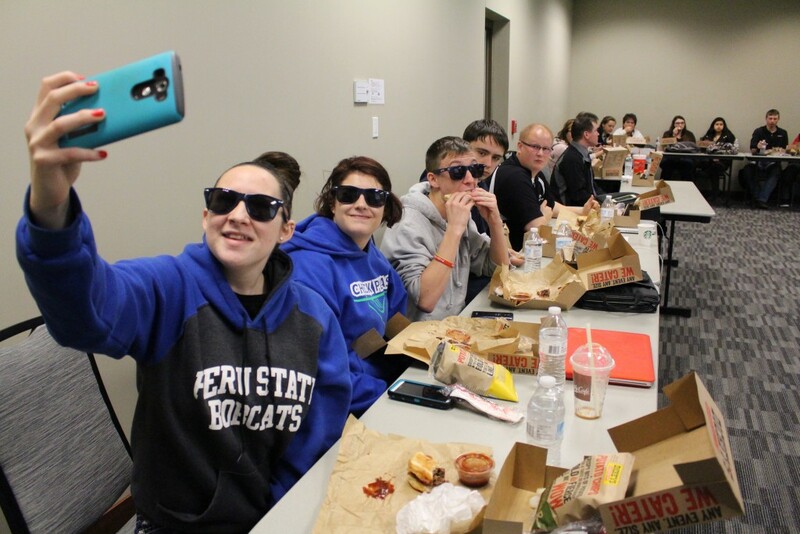 On the other hand, there was a promising start to ramp up the social media building strategy as Fillmore Central (FC) started their own Snapchat account in the first few minutes of being seated. Music to Striv’s Taylor Siebert’s ears. FC got the ball rolling as discussions ramped up with students informing teachers that Snapchat is where students spend their time and schools should be also. Bruning-Davenport and Cozad were then seen opening school accounts to better share their story online. Nice! At this point, the attention was drawn to the first speaker of the day. Ben Pankonin, CEO of Social Assurance took front and center. His company connects financial brands to digital communities. 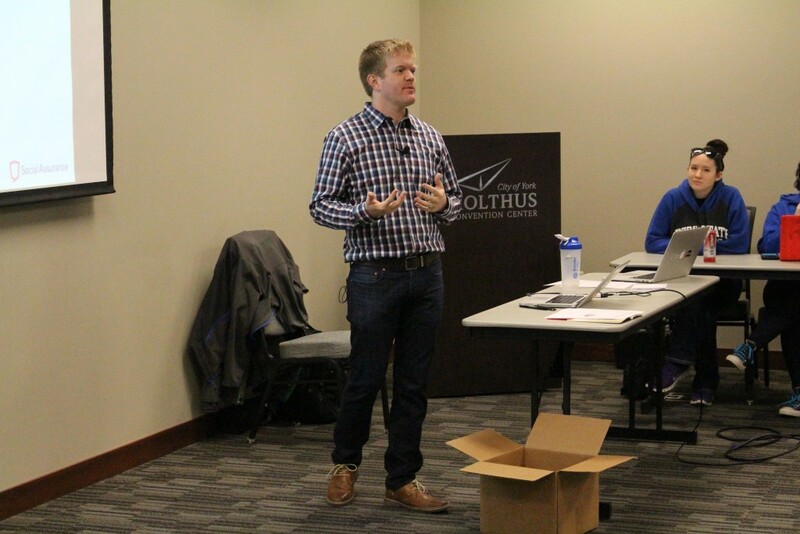 Much is involved in his company’s operations, but he quickly found out that talking to high school students on a Monday morning was a little less interactive than what his dynamic speaking ability is used to. Although a captivating speaker he struggled to pull any bits of information out of the listening students at first. Even knocking it down a few notches with what seemed to be a ‘simple’ question to answer: ‘have any of you opened a bank account?’ Apparently the ‘yes’/‘no’ question was still making them a bit uneasy. However, it was obvious his challenge to the students to think about entrepreneurship, to inspire them to think beyond the 9 to 5 was being soaked up and maybe in a few years we’ll see a rising business start from one of the students sitting in the ‘U’ shaped conference tables. 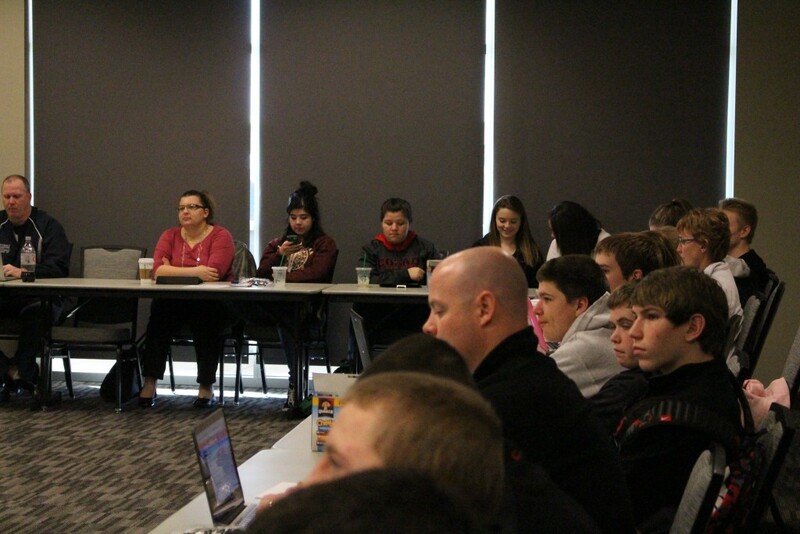 Mandy Hengelfelt, VP of Marketing at Cornerstone Bank was next to take on the tight-lipped students attending. Her approached was a bit more suited for the audience as far as getting them to talk. She quickly guaranteed a ‘prize’ for any questions that were asked of her. Mandy spoke about the transition the bank has made into social media and their struggles as well as successes. This was good for the teachers and administrators to hear as they take on the task of being in charge of the content that the school posts if the students start/continue using social media for it. It was a good topic to take from as schools are growing in social media and how it represents the organization (school). Schools talked individually with Ben, Taylor and Eric Allgood about any and all topics they had concerns, questions or comments about. 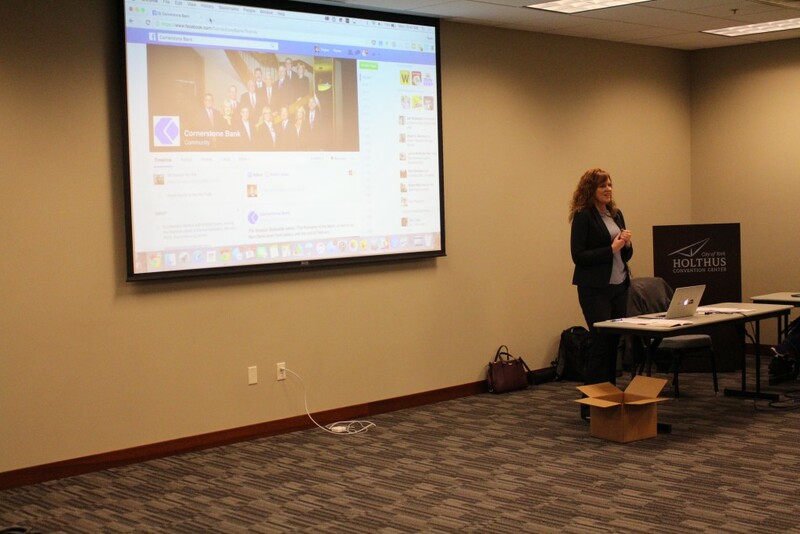 Taylor, then shared a little bit of, Striv partner, Truck Center Companies and their approach to sharing their company story on social media. He talked about everything from how they post, what they post and the technical side of graphics, placement and beyond. Seemed like a pretty full social media cram session, but it didn’t seem to be quite enough as all the schools continued to discuss, cultivate ideas and develop their own strategies. Friend high school made sure to get in some personal Q&A after the conference had wound down. 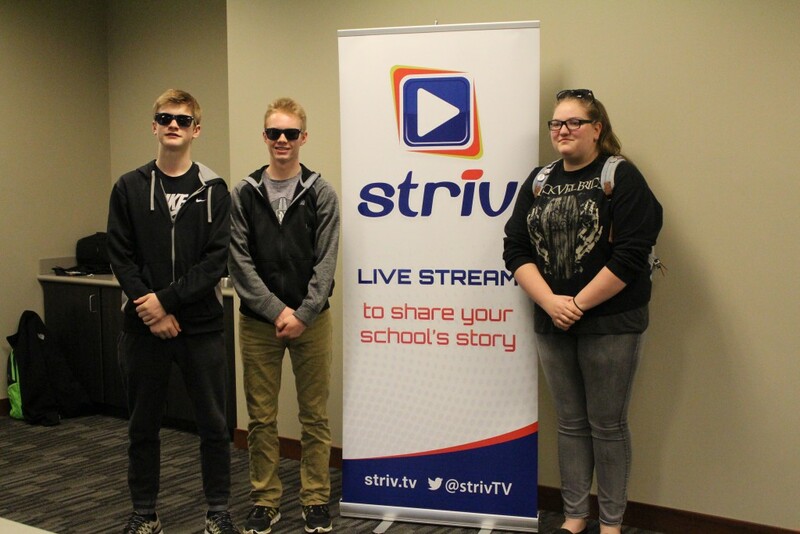 Wood River, who is a new Striv school, was really exciting to watch as they met after people were free to go and really got down to business on their plan to implement Striv and the best way to start sharing the Eagles story online! It was a really refreshing conference for all involved. And of course, what conference is complete without lunch? 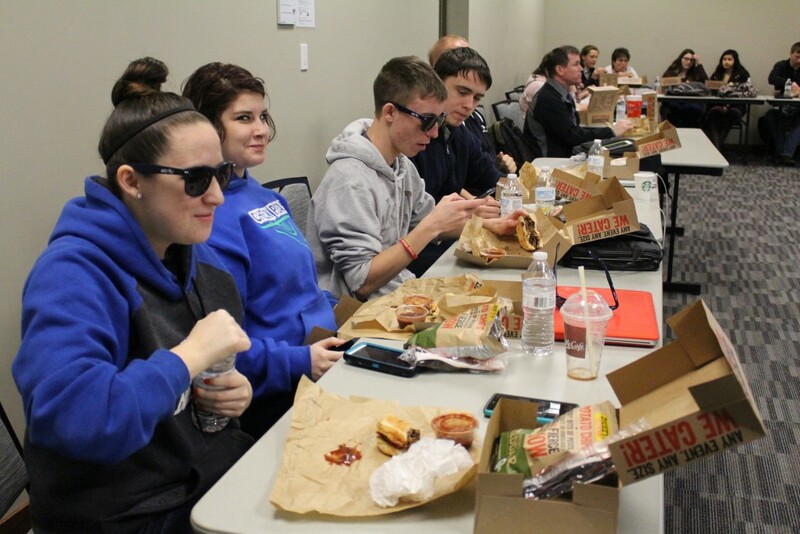 Lunch boxes were handed out from, Striv sponsor, Dickey’s BBQ in York and the food did not disappoint. 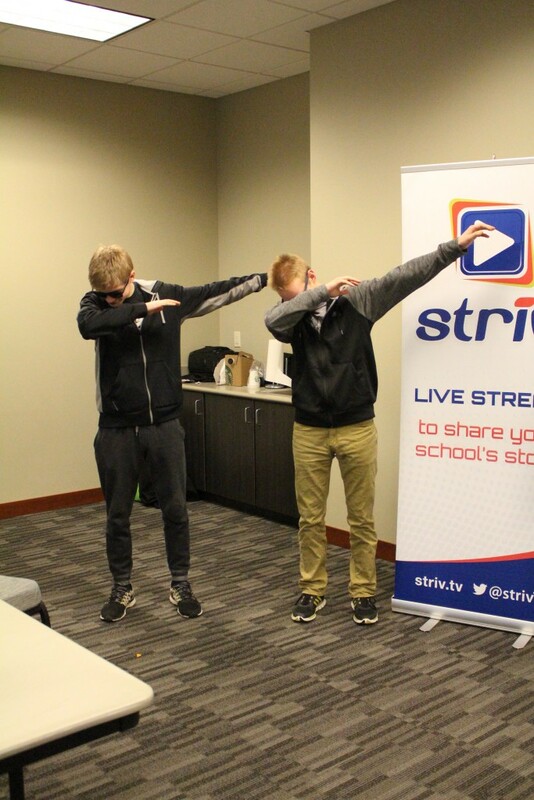 The StrivU Winter Social Media Conference goes down in the books as a success thanks to Ben, Mandy, information provided by Truck Center Companies and all the schools that came. If you would like to watch the conference, it was recorded and can be seen on our Facebook Group (Ask to join here). Until we meet again at the 1st Annual Striv Awards Ceremony this summer!